Half dimes were first released in 1794 and became the nation?s first five-cent coins. However, unlike modern-day copper-nickel five-cent coins (?nickels? ), which were first issued in 1866, half dimes are silver coins that are approximately half the weight of their contemporary dime. Including all major types, there are three separate early half dimes series, including the Flowing Hair (1794-1795), Draped Bust (1796-1805), and Capped Bust (1829-1837). There are also two subtypes within the Draped Bust series. These include the Small Eagle Reverse (1796-1797) and Heraldic Eagle Reverse (1800-1805). These major types and the Draped Bust subtypes are generally identical to the dimes of their respective contemporary periods. 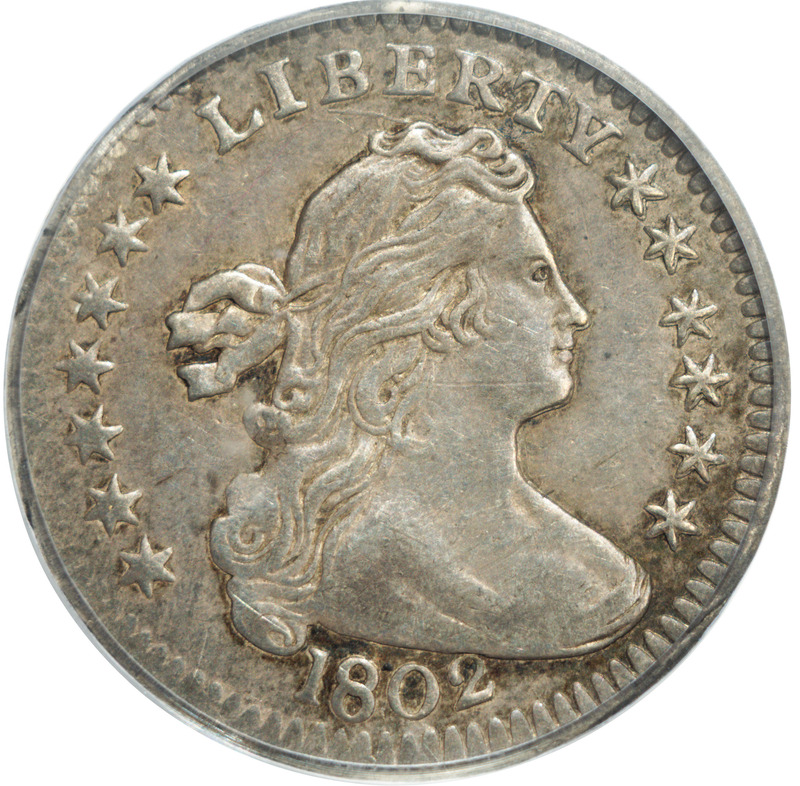 All early half dimes are considered scarce, with this being the case particularly with the Flowing Hair and Draped Bust types. Professional Coin Grading Service (PCGS) estimates there are only 550 examples of the first-year 1794 half dime and fewer than 1,800 specimens of the 1795, with the vast majority of both dates represented by well-circulated pieces. The Draped Bust half dime is no less challenging, and with a bevy of widely recognized scarce varieties, completing a collection of Draped Bust half dimes is by far one of the most financially complex numismatic undertakings. Capped Bust half dimes are comparably more common and easily obtainable than their earlier counterparts but also present their own challenges, particularly in the higher grades. This is especially true with the 1836 and 1837 half dimes, which have lower certified populations.